Malawi’s government on Tuesday accused Madonna of not consulting over her plans to build 10 new schools in the poor southern African state and said the singer seemed more interested in promoting her global image than helping with education there. But the head of an organisation that pop star Madonna brought in to help with her efforts in Malawi fired back, saying the government accusation was “simply not true” and that it had been “fully updated” on the singer’s plans. 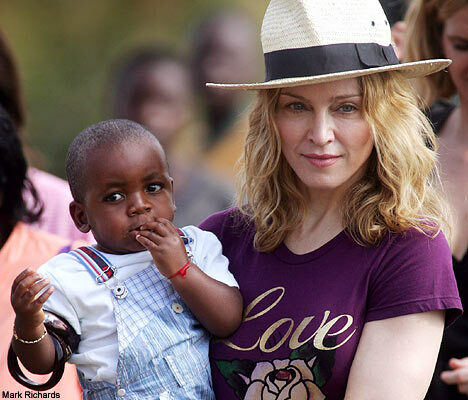 Madonna, who has adopted two children from Malawi, announced in January her Raising Malawi charity was teaming up with the non-profit group buildOn to construct the schools, which would educate at least 1,000 children a year. Malawi’s Ministry of Education spokeswoman Lindiwe Chide told Reuters the government was “fed up” with Madonna. Chide said that when the singer last year scrapped a previously planned academy for girls in Malawi, alleging mismanagement and cost overruns, she did not inform Malawian authorities. “Now she decides to announce that she plans to build 10 schools without getting authority from us again,” Chide said. “We now feel like this is all about propping up her global image and not in our interest,” she added. Madonna’s earlier plan to build a state of the art girls school for about 400 girls just outside the Malawi capital Lilongwe collapsed last year, and the board of her Raising Malawi charity was fired. The New York Times said at the time that $3.8 million (2.4 million pounds) had been spent on the school with little to show for it. The singer has lent $11 million to the organization which she co-founded in 2006. Chide said: “She has no mandate to decide where she wants to build a school because she doesn’t know our needs and where we want new schools … she first needed to consult us, get permission from us before doing anything”.